The Inaugural GAFCON Bishops Training Institute Conference (known as BTI1) brought together 28 recently consecrated bishops from five different countries, for eight days of fellowship, networking, teaching, robust discussion and fun. The bishops gathered in the idyllic setting of Brackenhurst, Limuru, Kenya on the evening of Thursday 29th September. 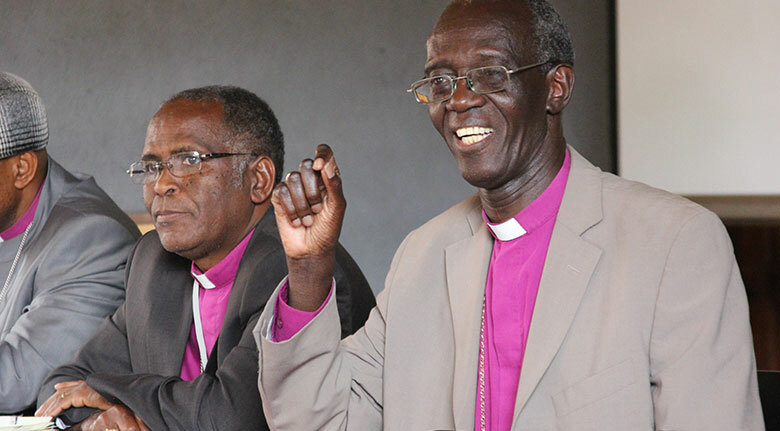 Archbishop Jackson Ole Sapit, Archbishop of the Anglican Church of Kenya, officially opened the conference the following morning before addressing the delegates on the topic of ‘Transformative Leadership for a Growing and Caring Church”. Archbishop Jackson inspired the delegates with his insightful, practical, biblically-based instruction. The BTI1 Conference sought to: build and strengthen networks between biblically-minded bishops within the Anglican Communion; to enhance bishops’ understanding of some of the challenges facing the church as it seeks to stand firm on the teaching of the Bible; to encourage and equip bishops to stand against the tide of Secularism, Liberalism and Postmodernism; and to allow them to have a rich time of Christian fellowship. Each morning BTI1 began with a chapel service consisting of enthusiastic singing, prayer, the reading and proclamation of God’s Word, and Anglican liturgy from one of six different nations. Presentations covered topics as diverse as: The Importance of Theological Education; Raising Finances for Sustainable Capital Projects; The Growth and Relevance of Anglicanism in the 21st Century, The History and Importance of GAFCON and the Challenges it Faces; The Role of the Father, Son and Holy Spirit in One’s Spiritual Journey; The Importance and Practice of Prayer; Financial Stewardship; Anglicanism for the Growth of the Church; The Threat of Liberalism; The Deceit of the Prosperity Gospel; and Mission and Evangelism. A key feature of the conference was the Q&A sessions with each of the presenters. The questions asked and the ensuing discussions the questions generated allowed for “iron to sharpen iron” as bishops interacted with each other and the host of international presenters from six different countries. BTI1 was not “all work and no play”. Delegates went on an early morning safari to the Nairobi National Park and were enthralled by being up close to a host of magnificent animals. There was also a vigorous game of volleyball that served to reveal bishop's competitive natures. The significance of this inaugural BTI conference was articulated by Archbishop Jackson, Archbishop Stanley Ntagali (Archbishop of the province of Uganda), and Archbishop Eliud Wabukala (retired Archbishop of Kenya) in each of their presentations, but was perhaps best summed up in the concluding comments of Archbishop Nicholas Okoh, Chairman of the GAFCON Primates Council, who stated, “…it is so important that the GAFCON movement supports the bishops of the Communion at this critical time … a rich time of fellowship, learning and prayer lies ahead”. BTI1 did serve to encourage, enrich and embolden the bishops who attended, and it was indeed a time of rich “fellowship, learning and prayer”. A full transcript can be found here. Archbishop Okoh also stated that, “… godly bishops are being raised up to enable a reformed and renewed Anglican future with Bible at its heart. 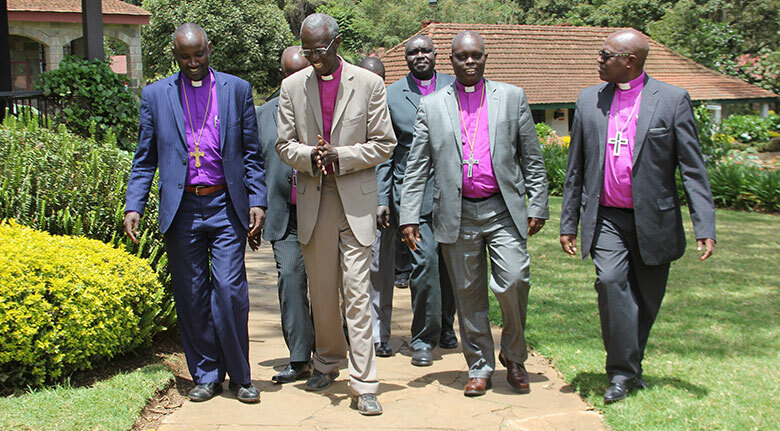 The GAFCON Bishops Training Institute serves this vision by equipping newly consecrated bishops to be courageous and discerning guardians of the faith”. Bishops left the BTI1 Conference urging the organisers to commence forthwith preparations for BTI2 so that many more bishops could benefit from the equipping and encouragement they received from the inaugural BTI Conference.